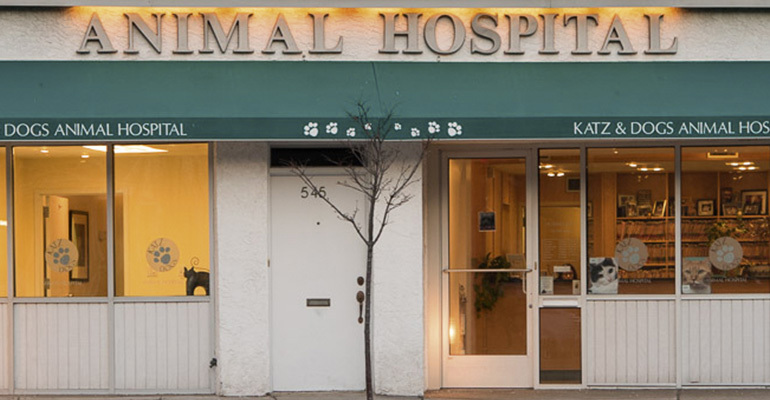 Katz & Dogs contributes to Montclair‘s appreciation and knowledge of animals in a variety of exciting ways! We host frequent tours of our hospital to children, preteens and teenagers allowing them to learn more about the inner workings of an animal hospital. Our tours are tailored to the age, interest and activity level of the participants. We are proud to report the feedback has been that our tours are interesting, educational and fun! Anyone interested in touring our entire facility privately or with a group is welcome to call and make an appointment to do so. We are available to educate scouting troops working towards their animal care badges and have hosted many tours and informational sessions for these troops. We welcome college students aspiring to enter veterinary medicine to call and make an appointment to tour our entire facility. Katz & Dogs Animal Hospital holds a one of a kind adoption event each year featuring pets from multiple shelters and rescues. It is held in tandem with the Upper Montclair Sidewalk Sale. Families are welcomed into the hospital to meet and spend time with the pets that are looking for homes. We are proud to report our adoption days have resulted in many needy pets finding their forever families! Each year prior to and during the adoption day event, Katz & Dogs Animal Hospital offers amazing prizes which are raffled off to raise thousands of dollars for the participating organizations.